Avalon Airport today formally launched its new international terminal ahead of AirAsia flights commencing this week. The new international terminal was officially opened by Senator the Hon. Marise Payne, Minister for Foreign Affairs and the Hon John Eren MP, Member for Lara. 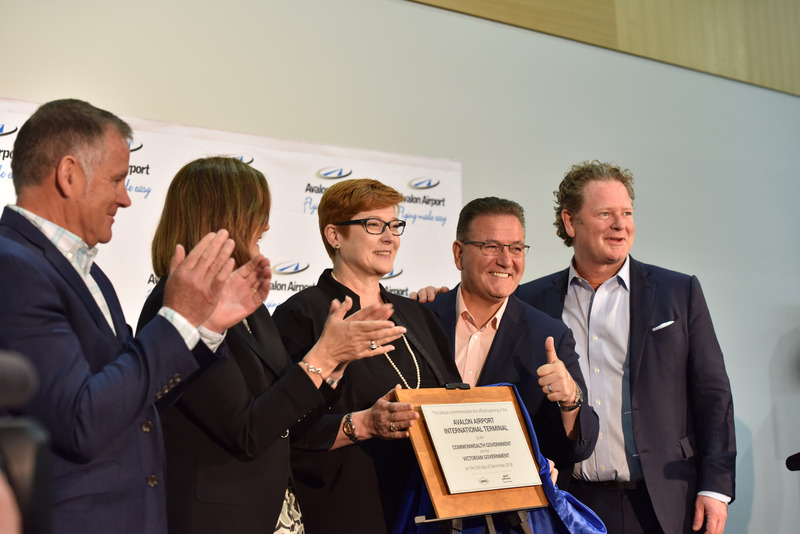 The new international operations were announced at an industry event at Avalon Airport in February this year, with the then Treasurer the Hon Scott Morrison MP turning the first sod on the 12th of May. Since that time over 63,500 work hours have been spent on construction in the lead up to the 5 December inaugural AirAsia flight. “One of the most important considerations for a build of this nature is getting the design and design intent correct in the first instance,” said Project Manager, Qanstruct’s Trent Franks. The terminal is state of the art with simple comfort for passengers, and plenty of space to expand once new airlines come on board. It includes two duty free stores, TRS facilities, a full bar and café, and is the first airport in Australia to offer intelligent CT cabin baggage screening to international travellers. It will provide international passengers with easier access and more affordable travel to Melbourne, Geelong and the Great Ocean Road, adding greatly to the country’s visitor economy, whilst providing easier and affordable access to international travel for people living in Geelong and many suburbs of Melbourne. “The partnership with AirAsia is a significant moment for not just Avalon Airport, but the entire region. These operations will produce a significant boost to jobs in the region, provide new tourism to regional areas, and provide an opportunity for exporters to have quicker and easier access to Asian markets,” said Linfox Airports Executive Chairman David Fox.